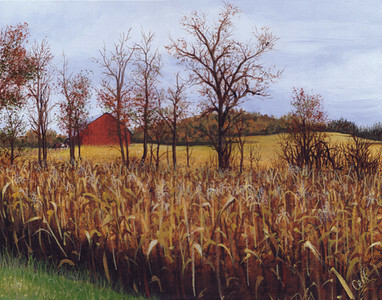 This barn and cornfield were commissioned by a client and dear friend who lives near Saltsburg, Pennsylvania. He and his wife live in an old farm house and enjoy having several horses to keep them busy. They ended up purchasing the barn in the background and wanted to commemorate the event with a painting.